There is no airport on Koh Phi Phi. The nearest airports are Krabi Airport and Phuket Airport. You will then need to get transport from the airport to the pier and a ferry from the pier to Koh Phi Phi. You can book Krabi Airport to Koh Phi Phi ferry tickets online – it combines a minivan from Krabi Airport to the ferry pier, and then the ferry crossing to Koh Phi Phi island. Ferries go to Koh Phi Phi from both Krabi and Phuket every day. In high season there are more boats plying both routes. Tickets can be bought online and in advance. In Krabi, the ferry pier is about 3km outside of Krabi Town and resembles a small airport. Once in Phi Phi, there is a 20 baht per person fee required at the pier for “keeping Koh Phi Phi clean”… If only. There are added ferry services all through high season. You can buy a combined bus and ferry ticket with the bus departing from Bangkok’s Southern Terminal to Phuket’s Rassada Pier. You then board the ferry at Rassada Pier and make the crossing to Koh Phi Phi. Check departure times, pricing and book online with 12go. There are almost no motorized vehicles on Phi Phi so you either walk or get a longtail boat to get to other beaches from the initial arrival point of Tonsai Beach. Walking is free but can be arduous in the heat, especially if you have a lot of luggage and particularly with kids. Getting long boat taxis can be expensive unless it is the short run from Tonsai to Long Beach which is 100 baht during the day and 150 baht at night. Some of the longtail boat men can seem intimidating and indeed there is a fairly mafia feel to the whole business. Getting to more remote beaches such as Laem Thong can set you back as much as 1000 baht one way. If you have a lot of luggage there are porters with pushcarts who can carry your stuff for a fee. Be aware of which beach you are staying on when you book your Koh Phi Phi hotel so that you know what the logistics are of getting there once the ferry arrives at Tonsai Bay on Koh Phi Phi. 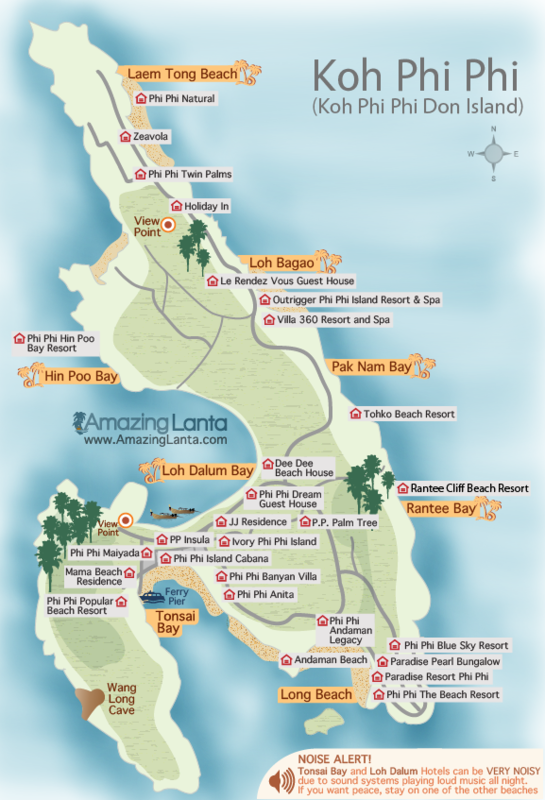 If you are staying on one of the more remote beaches, getting your hotel to send a longtail boat to meet you at the pier will save you a lot of hassle. From Bangkok to Koh Phi Phi the quickest way to get to Koh Phi Phi is to catch a flight to Krabi Airport and then get a minivan or taxi transfer to the ferry crossing. 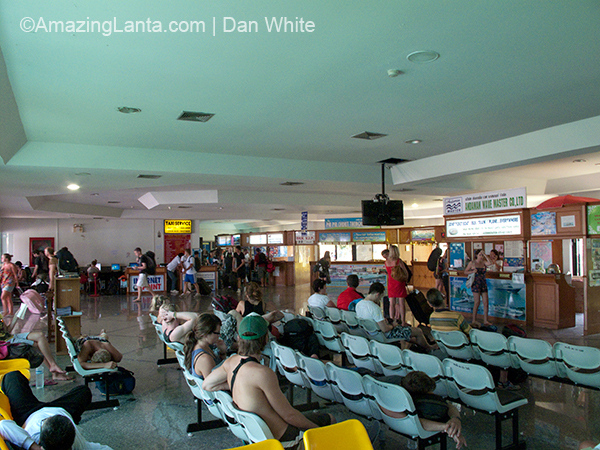 There are tourist operators at the airport that can sell you a combined ticket for the transfer and ferry crossing. The cheapest way is to buy a combo ticket for the bus and ferry – the bus travels overnight from Bangkok to Krabi and then transfers you onto the ferry to Koh Phi Phi. You can buy a combo ticket from Bangkok to Koh Phi Phi online at 12Go. Get a ticket from any travel agent or guesthouse – the ticket price should include pickup from Krabi Town and transfer to the Krabi ferry terminal 3km outside of town. Alternatively you can buy the ticket online where you can also check departure and arrival times. You can catch a ferry direct from Ao Nang to Koh Phi Phi – see the Ao Nang to Koh Phi Phi ferry timetable page for full details. 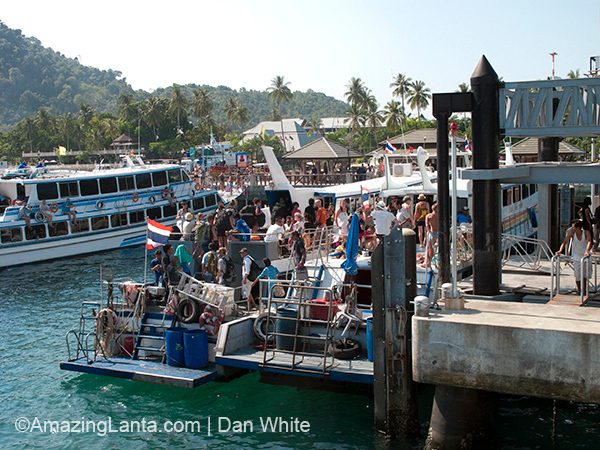 Ferries depart daily from Phuket to Koh Phi Phi – see the Phuket to Koh Phi Phi ferry times page. 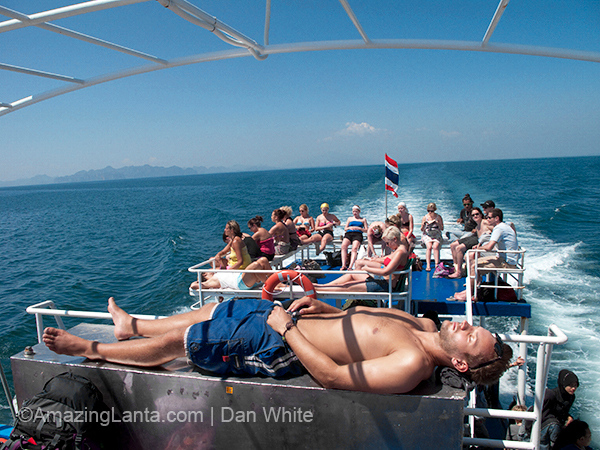 Koh Lanta is only an hour away from Koh Phi Phi making it a great place to chill out after partying on Koh Phi Phi. 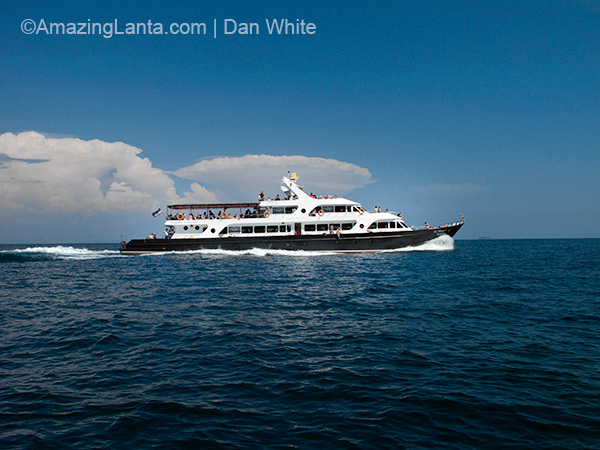 See the Koh Lanta to Koh Phi Phi ferry times page. Ferries run direct from Trang to Koh Phi Phi, taking around four hours for the journey. See the Trang to Koh Phi Phi ferry times for more details. It’s easy to catch a ferry all the way up (or down) the southern Thai coastline to Koh Lipe, which is on the border with Thailand and Malaysia. See the Koh Lipe to Koh Phi Phi ferry times page for more info.